Picking up of the poetry prior to the exportation of potatoes to Leeuwarden. This year’s shipment of potato seeds has arrived in Malta from Leeuwarden, the city which will be co-hosting the title of European Capital of Culture 2018 and the capital city of the Province of Friesland, as part of the Poetry in Potato Bags project. Malta and Leeuwarden have strong agricultural ties as Leeuwarden sends potato seed to Malta which is then planted and grown in Malta. Once potatoes are fully grown and harvested, they are exported to Leeuwarden. 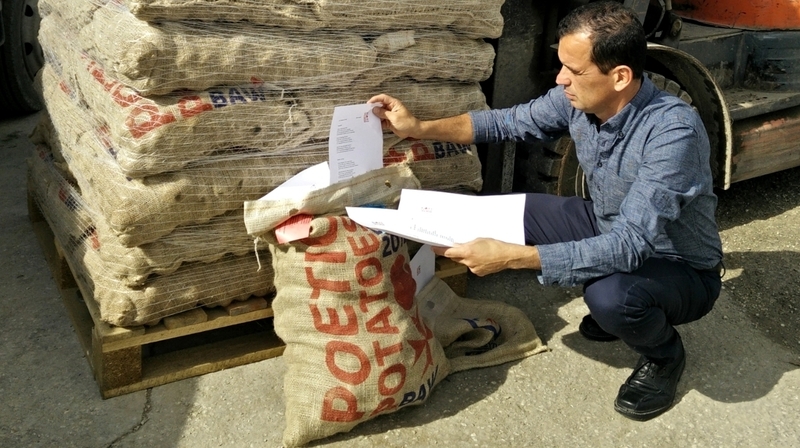 The Poetry in Potato Bags project builds on this import/export relationships by adding new dimensions to the exchange, that of language and artistic expression . Accompanying the most recent shipment of seeds were a series of poems written in Frisian and Dutch with an English translation. The poems are all inspired by the potato crop, which is an important staple in both Maltese and Frisian cuisine. Each and every poem will eventually have four language versions: Maltese, English, Frisian and Dutch. These poems were written by Albertina Soepboer, Arjen Hut, Bartle Lavermann, Sannemaj Betten, Wilco Berga, A. de Tollenaar, C. Budding, Harmen Wind, H.H. ter Balk and Loet Hin. In addition, a series of short films have been made inspired by these poems, which are available on demoanne.nl/dossiers/poetic-potatoes. On the other side, Maltese poets Adrian Grima, Claudia Cauci, Emmanuel Attard Cassar, Mario Cardona, Rita Saliba, Simone Inguanez, and Walid Nabhan sent their own poetry to Leeuwarden, with a very warm welcome. Every poem written till now by both Dutch and Maltese poets has been already translated into English and can be read on bildtseaardappelweken.nl/poetry/2015-2. In the meantime, seeds are also being sown among the younger generations as several groups of children in Resource Centres and Primary schools are encouraged to create their own potato-inspired poetry. This poetry will in turn be part of an exchange with children in Leeuwarden in a joint educational program. 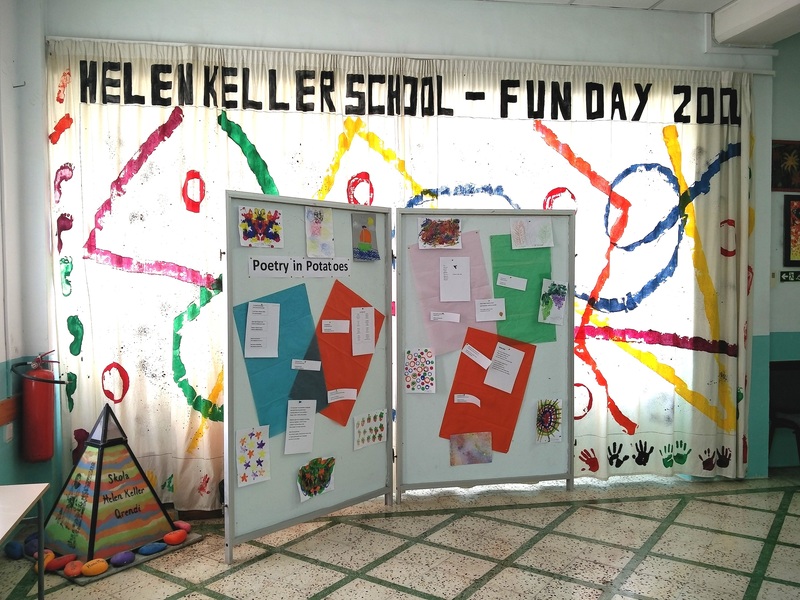 Board set up at the Helen Keller Resource Centre in Qrendi as part of their participation in the educational part of Poetry in Potato Bags.